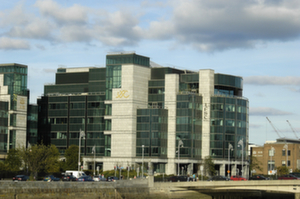 DTCC officially opened its new office in Dublin on Monday evening. Mark Wetjen, Managing Director, Head of Global Public Policy, DTCC and Chairman of the Board, DTCC Deriv/SERV LLC, commented: "Last week, DTCC Data Repository (Ireland) Plc., or DDRIE, was successfully registered by ESMA as a trade repository. "Yesterday (Monday March 4), DTCC extended its presence in Europe by officially opening a new office in Dublin, ahead of the UK's expected withdrawal from the EU. I'd like to express DTCC's thanks to the Irish Government and IDA Ireland for their support, and to say that our team looks forward to working with the local business community."